A 19-year-old man has been arrested on suspicion of the manslaughter of a man who died as a result of a single punch. 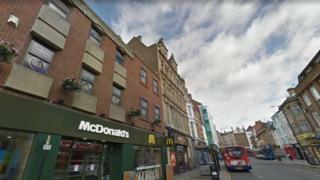 The victim, aged 24, was punched and collapsed in an alleyway off Drapery, Northampton, on Saturday 9 February. The arrested man is in custody. Northamptonshire Police have appealed for witnesses. An 18-year-old man and a 20-year-old man arrested in connection with the attack have been released under investigation pending further enquiries.